Here is the fifth blog post of the new year and I’m sticking to my new year’s resolution . . . a bit late in the day on Monday, but better late than never, right? Okay, so, five more questions in the list appear and I’m all set to answer them for your reading pleasure. Enjoy and chime in with your own thoughts. 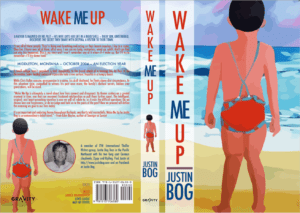 I hope you are intrigued enough to want to read my first crime novel, Wake Me Up. That would be wonderful. I’d love Wake Me Up to be made into a movie/TV show/Radio drama/etc. because . . . Well, I’ve contemplated this from one odd moment to another over the creation of the book, and I feel the story would best be served as a full motion picture. It’s rough and raw at the beginning, and filled with cinematic moments. Another blog post about the actors/actresses I’d love to see play the main roles is again in the works. Most epic thing about Wake Me Up. That the publication day arrived at all. I held onto this book and story for much longer than I ever wanted to, and it’s better for the wait, believe me. I originally thought of publishing the book on my own way back in 2012 after I published Sandcastle and Other Stories as an original eBook. The success of that book (small and so tiny, but happy days in remembrance) led me to choose a different path. And then more delays occurred. Editing and polishing over these next four years became paramount. This version of Wake Me Up is the best I could do at this point in time and I let it fly free. The story of Christopher Bullet and his family have been haunting me for a long time. Advice given to me that made Wake Me Up better. 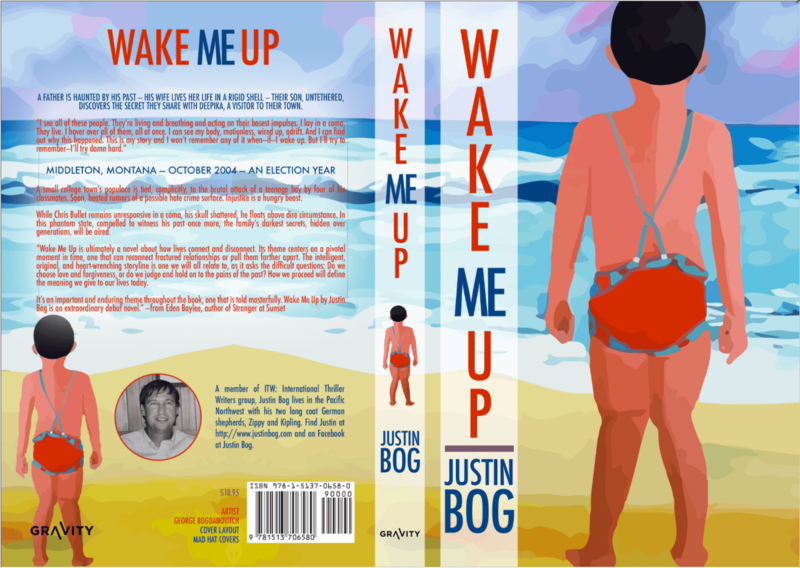 Almost to the day I hit the publish button, an early reader of Wake Me Up revealed her thoughts and I had little time to weigh her criticisms of the novel, it’s strange structure, the characters, the climax, the ending. And I didn’t honor her largest suggestion at this time, but it stayed in my head, eating away at me. So much so, that I halted the publication process (at a cost to me in both monetary and planned publication date) and revised the ending of the book. I cut the entire last chapter, some thirty pages, and added one more short page of details that fit the true ending of the novel much better. I can’t thank this early reader enough for her wisdom. The book ends at the best point now. Shout-out to some people who have encouraged me in writing Wake Me Up! Cheryl Welch, Gale Spalvins, Melissa Flickinger, Deepika (the real pal), Wendy Garfinkle, Rachel Thompson, Shari Ryan, Richard and Sabryna Bach (the best kind of inspiration to create) and there were a few others who have always wanted me to publish something of length. I hope they love that their wish came true. I love what developed, and will cherish this first literary crime novel forever. Best to you in your own creative worlds, real or imagined. So great to learn more about Wake Me Up, Justin. I picked it up so I can have it in my Kindle library. Thrilled for your success! You so deserve it!